If you're a beauty addict like myself, you may have already got your hands on a few bits from Make Up For Ever since its exclusive launch last year at Debenhams. But if not, you'll be excited to hear four of the brands best sellers are now available in the Love Me Beauty boutique. Overall I'm very impressed with this months LMB bag. And if you're tempted to try something new from MUFE you can from just £10! And the team at Love Me Beauty has very kindly provided me with an exclusive discount for my readers which entitles you to 20% off a LMB membership with the code 'em20' which you can use online here. 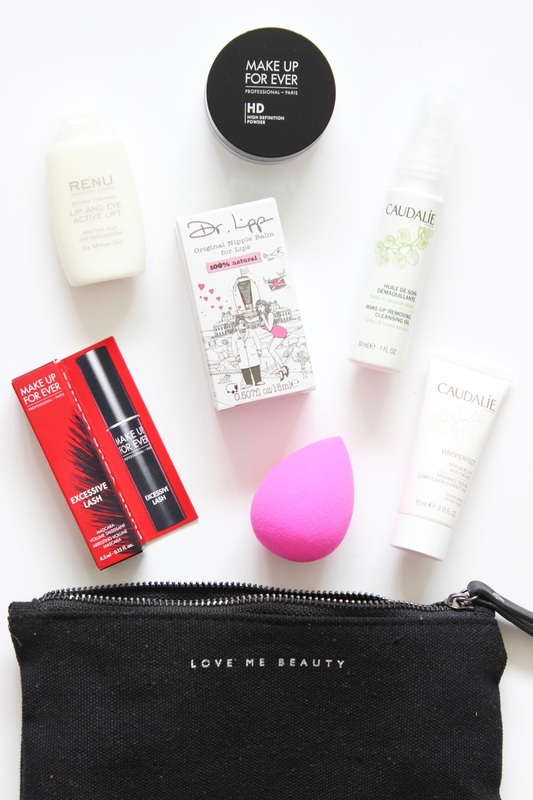 What are your thoughts on this months Love Me Beauty bag?